Failing to cap global warming at two degrees Celsius or less could cost the world economy tens of trillions of dollars over the next 80 years, researchers warned Wednesday. Four-fifths of countries and 90 percent of the global population, in other words, stand to reap major economic benefits by avoiding costs linked to higher temperatures, they reported in the journal Nature. The 196-nation Paris climate treaty calls for holding the rise in Earth's surface temperature to "well under" 2 C (3.6 degrees Fahrenheit), and 1.5 C if possible. The lower target was included in light of severe climate impacts after only 1 C of warming, including deadly heatwaves, droughts, and storms surges made more destructive by rising seas. A UN special report due in October will detail likely damage in a 1.5 C world, and help leaders decide if the target is within reach. "Achieving the more ambitious Paris goals is highly likely to benefit most countries—and the global economy overall—by avoiding more severe economic damage," said senior author Noah Diffenbaugh, a professor at Stanford University's School of Earth. Over the course of the century, the global economy in a 1.5 C world would generate an additional 20 trillion dollars in GDP compared to one in which temperatures rise by 2 C, the study found. Diffenbaugh and colleagues made their calculations by studying how economic performance over the last 50 years, measured by GPD, matched changes in temperature around the world. Then, using climate model projections, they calculated how overall economic output is likely to change in the coming decades as temperatures warm to different levels—1.5 C, 2 C and 3 C.
Voluntary national pledges to reduce greenhouse gas emissions, annexed to the Paris Agreement, would see the thermometer go up 3 C by 2100, the UN has estimated. That scenario—described by many scientists as catastrophic—would lower per capita economic output up to 25 percent by century's end, according to the study. Outside experts reacted favourably to the research but noted the findings depend heavily on underlying assumptions. "GDP is a useful metric to assess the benefits of limiting global warming," said Wolfram Schlenker, a professor at the Columbia University's Earth Institute. But predicted impacts of global warming would be even greater, he said, "if the non-market benefits of reduced fossil-fuel use—for human health and ecosystems, for example—were considered." 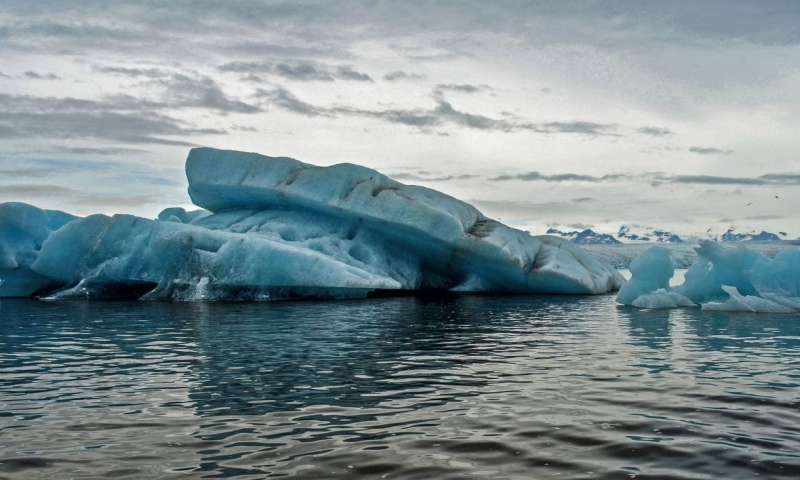 Nor does the Stanford team allow for the possibility of catastrophic changes, such as an acceleration in the melting of the Greenland or Antarctic ice sheets, which could lift sea levels by many metres in the coming centuries. "The results should be interpreted with caution," said Bob Ward, policy director at the Grantham Research Institute on Climate Change and the Environment in London. "They have not taken into account the additional costs of reducing emissions to meet the stronger [1.5 C] target, which could be substantial, particularly if negative emissions technologies are needed." Scientists say it is unlikely the 2 C target—much less 1.5 C—can be met solely by reducing carbon pollution, giving rise to the need to pull excess CO2 out of the air. But all of the "negative emissions" technologies proposed so far remain problematic. hahahaha... how ridiculous:) For the last 17 years only one town in the USA has recorded a recod high. Quit pushing BS please. 2017 was the third hottest year on record and it managed that without an El Nino. Each of the top 10 hottest years have been this century and the five warmest years on record have been since 2010. Stop trolling science sites with nonsense. hahahaha... how ridiculous:) For the last 17 years only one town in the USA has recorded a recod high. .
What has local climate and weather got to with global climate getting warmer? Local isn't global and weather isn't climate, idiot. The global GDP is about $85 Trillion per year, expected to grow to $100 Trillion by 2020. $20 Trillion divided by 80 years is $125 Billion a year, which is 0.2% of the global economy and the portion is shrinking continuously. $20 Trillion in a world of 2100 is nothing. This is a case where it's apt to point out that the argument is scaremongering with big numbers without giving a context. That makes it plain propaganda, and the aim is obviously to sell drastic measures that amount to the fox telling Chicken Little to come hide in his den before the sky falls down. *sigh*. Please don't come back until you know the difference between weather and climate. If he's talking about all the towns in the USA for the last 17 years, that is pretty much climate instead of weather as it considers an area spanning a whole continent over more than a decade. Please don't come back until you can tell the difference between a cheap talking point and an argument. The fact is, propaganda is a lot easier to slip into comment threads than articles. All it takes is a brainwashed idiot or two, or maybe a botswarm, and you too can have your own b_man or Eikka parroting whatever you want. The science is clear. Those that deny it are, at kindest, mentally disabled. humy......The Chicken Little jackass, brays. Please tell us, how is the global climate determined? Who needs science when you have an allegory? Oh wait, that's the neo-con tagline! Just remember this climate deniers, anti-science right, and flat earthers. When the summer heatwaves bake your cities to the bone and nobodies working because 102F has been the norm for weeks, you can start to see why climate change is all about the economy stupid. I was under the impression that the commonly accepted line between "weather" and "climate" is 15 years of data with anything more being closer to "climate" than "weather". The point is that it's a cheap semantic trick to throw down someone's claims on the basis of "it's weather not climate" when the difference between them exists on a sliding scale. "Weather" doesnt' magically turn to "climate" on the last hour of the last day of the 29th year. It's dodging the claim by committing the fallacy of the heap. Yes. 17 years isn't exactly "short". Another fallacy of the heap. Perhaps, but you don't get rid of him that easily. The question is rather whether the "good guys" are allowed to use false argumentation to support their points while denying the same for their opponents. Answering propaganda with counter-propaganda just undermines your own position. That is my point, and I will defend it regardless of which side I end up supporting. That's why people on all sides consider me the sock puppet of their opposition, because it's easier to blame me than admit fault. Another point I'm making is that all good causes have their abusers, and if you take the word of every alarmist you end up being taken for a spin. If you try to silence the skeptic - even if they're wrong - you're shiting the window of discourse deeper into the alarmist side, shifting it away from sanity. That allegory is a reminder that the Overton effect exists. The climate skeptics and naysayers basically act as ballast that stops the window of discourse from sliding all the way to crazy land. Without them, the guy who's saying "the sky is falling" is being contrasted not with the guy who says "the sky isn't falling", but with the guy who says "the sky is falling a bit" - so together they agree that the sky IS falling, and then start to have a fight whether it's falling a little or a lot. By shutting out the people who are "obviously wrong" with cheap shot rhetoric and "consensus", means shutting yourself in the fox's den by helping all the people who are trying to drag the overton window to support whatever sociopolitical goal they have, sacrificing the truth in the process. To put things into perspective, NASA's budget is on the order of 0.5% of the GDP and people try to excuse it on the basis of it being so small it hardly matters. Rather, they'd like more money and resources to be shot up into thin air. And here we have a researcher who makes the opposite claim, that an expense on the order of 0.5% of GDP is so huge it's terrible, and so something just must be done about it. There seems to be a contradiction in argumentation that depends on whether you're trying to support a cause, or fight against it. This hypocricy points towards the fact that this problem isn't really the problem, but just a mask for some other cause. Never has so much quasi-philosophical rubbish been written about a matter of science. They just want to make money with "renewables" or "fossil fuels". Yep, it is all a conspiracy on the AGW side by scientists who sneakily bought shares in renewables companies, before setting out on a worldwide conspiracy to promulgate their myth! Jesus, it makes you wonder what is worse for society - global warming, or the rank stupidity of a large percentage of the supposedly most intelligent species on the planet. Perhaps we deserve everything we get, and will be no great loss. Matter of science is, the research for indicia of geothermal and cosmological origins of climatic changes is systematically avoided in science and that the evidence for both environmental, both economical unsustainability of "renewables" is ignored as well. Your definition of "ignored" being "keep coming to different conclusions then my prejudices". That's not science.